It was a little over a year ago that the Naftali Group’s mixed-use building at 210 West 77th Street, on the Upper West Side, was about to top out. Now, construction of the building is almost at the finish line. Photos posted to the YIMBY Forums over the past few days, by users chused and Vertical_Gotham, show the removal of most of the scaffolding, revealing a completed façade. 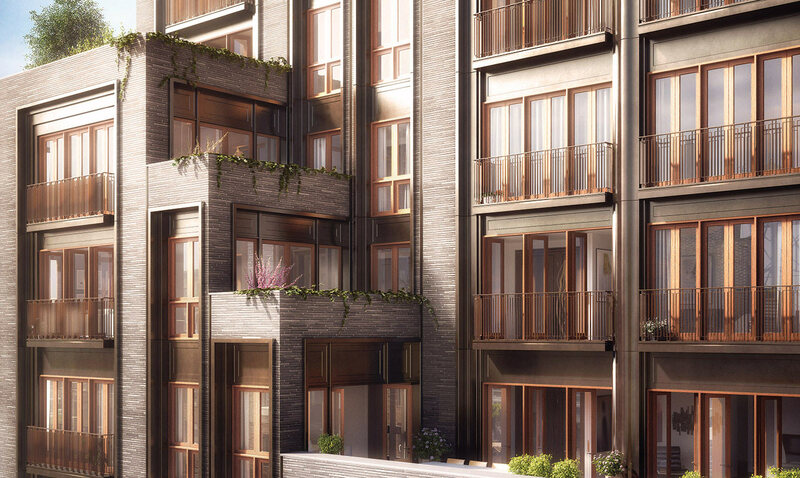 The project, dubbed Two Ten West 77, also occupies the address of 206 West 77th Street, which was seen on construction signage as recently as May. The site is on the south side of the street between Broadway and Amsterdam Avenue. Thomas Juul-Hansen is behind the design, though Goldstein, Hill & West is the architect of record. According to the latest permit, the structure is 18 stories tall, rising 185 feet, and encompassing 80,802 square feet. With 25 residential units spread across 78,485 square feet, the average condominium would span over 3,139 square feet. However, the penthouse does cover 7,027 square feet of interior and exterior space. There are two duplexes across the second and third floors, two apartments each on floors four through 12, one apartment each on floors 13 through 16, and the aforementioned penthouse spans the 17th and 18th floors. Amenities listed with the Department of Buildings include space for 14 bicycles, a total of eight automobile parking spaces, and both private and public roof space. There is also a spa, “sports court,” and fitness center. The building also includes 2,317 square feet of commercial space, for a single retail unit on the first floor. Sales are already underway, so occupancy could come any day now. The nearest subway station is the 79th Street stop on the 1 train.